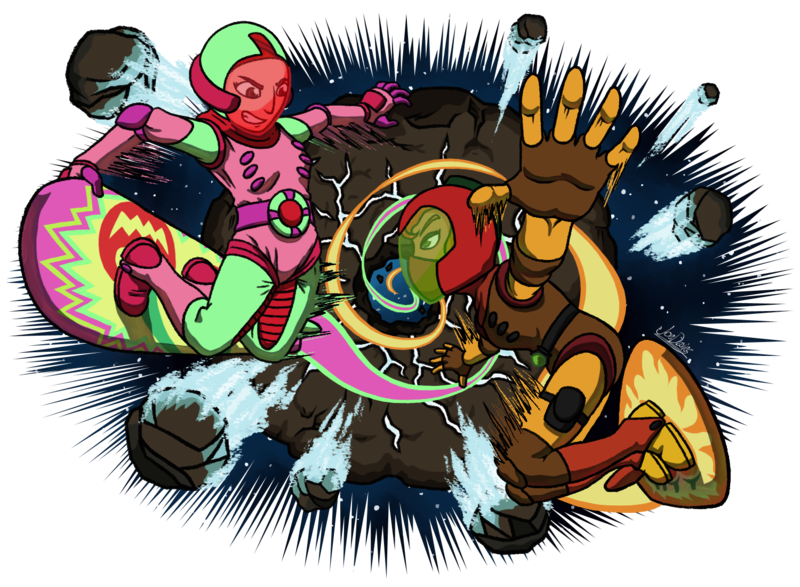 This involves gerugeon’s two characters; Cherry Cosmos and Pepper Punch racing each other in space. They are space surfers you see. Just imagine Sonic Riders, only… in space. That’s what’s going on here.